Gracious Style gift certificates are perfect for every occasion. Best of all, they can be shipped via standard service or e-mailed at no extra charge! To have a certificate shipped to your recipient, please provide us with their shipping information and we will rush your certificate along with your best wishes. To have a certificate e-mailed, please provide us with your recipient's e-mail address under "Special Instructions" at checkout and we will take care of the rest. For additional assistance, call us at 1-888-828-7170. 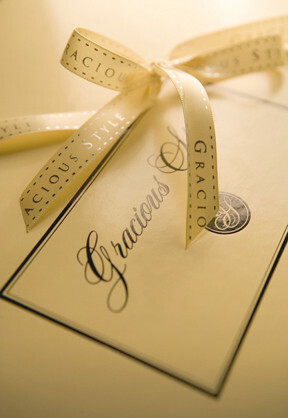 Gracious Style gift certificates are perfect for every occasion. Best of all, they can be shipped via standard service or e-mailed at no extra charge! <br> To have a certificate shipped to your recipient, please provide us with their shipping information and we will rush your certificate along with your best wishes.<br> To have a certificate e-mailed, please provide us with your recipient's e-mail address under "Special Instructions" at checkout and we will take care of the rest.<br><br>For additional assistance, call us at <b>1-888-828-7170</b>.